Lyme disease is an important human disease caused by a bacterium transmitted to people by particular species of ticks. 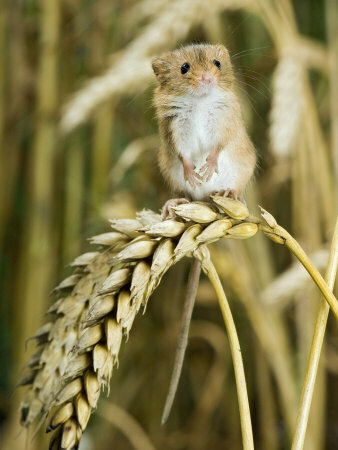 The bacterium normally infects small rodents but reaches people by way of ticks. 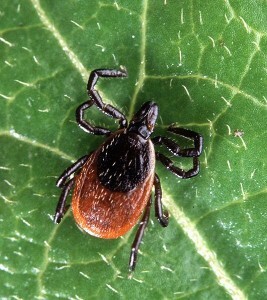 The tick that carries the bacterium in central and eastern North America is Ixodes scapularis. A new scientific study by Patrick Leighton and colleagues from the Faculty of Veterinary Medicine at the University of Montreal and the Public Health Agency of Canada, published in March 2012, now has documented that this tick has spread rapidly in Canada over the past 20 years. The study predicts that the tick will expand its range in Canada by approximately 46 km each year during this next decade. By 2020, the range of this tick will include a broad area inhabited by 80% of the Canadians who live east of Saskatchewan, compared to only 18% today. The rate at which the ticks extend their range in Canada very likely will be hastened by any warming of the Canadian climate. The geographic range of the bacterium which causes Lyme disease is expected to expand in parallel with the range of the tick, but with a lag time of several years. Thus, tracking the spread of the tick serves as an early warning for the subsequent spread of the risk to people of locally-acquired Lyme disease. Lyme disease can be treated with appropriate drugs when diagnosis and treatment occur soon after infection. However, diagnosis sometimes is problematic, and both treated and untreated infections sometimes have serious long-term consequences. The spread of the Lyme disease tick, followed by the disease itself, will impose a large new burden of disease on the Canadian population and significant new costs to the health care system.